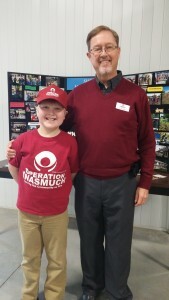 The relationship between Operation Inasmuch and the NC Baptist State Convention actually began in the late1990’s when Dr. Crocker was senior pastor at Snyder Memorial Baptist Church, Fayetteville, NC. He along other church leaders designed the model for an Inasmuch Day event. Snyder Memorial has continued to lead the annual “Blitz” Inasmuch Day for 22 years which has now become a large United event involving as many as 20 other churches in the Fayetteville area. 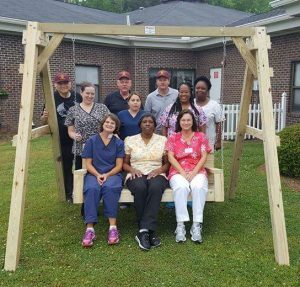 Within two or three years of designing the model, there was growing interest in sharing the model throughout the state of NC. In 2008 Operation Inasmuch had become a full-time ministry mobilizing churches from the “seats into the streets” through compassion ministry and established a formal relationship with the NC Baptist State Convention Missions. The two organizations have worked together biennially to conduct training events across the state preparing churches in every county of the state to conduct Inasmuch Day or United events. Here is the schedule and location of training events in 2018. All events are scheduled from 9:00 am until noon. Register for a training here. The official dates for conducting the 2018 NC Inasmuch Day and United events run from April 26 through May 5. Many churches will be conducting their events on those two weekends, while others will be conducting events around those dates as church calendars permit. We hope to see our North Carolina friends at the training events and anticipate receiving reports from all over the Tar Heel state as churches work together to be Christ in their communities in 2018. Register here.